Prominent & Leading Manufacturer from Mumbai, we offer High Alumina Bricks, Basic Bricks, Normal, Medium & High Heat Duty Bricks, Low Iron Oxide High Alumina Bricks, Magnesia and Magnesia Carbon Bricks and Special Bricks for Glass Industries. With a rich industry experience, we manufacture a superior quality range of High Alumina Bricks. These bricks are most advanced products in Ceramic Engineering Industry. Facilitated with features like optimum hardness, excellent electrical insulation and wear resistant finish, these are extensively appreciated in the market. We are also engaged in manufacturing and supplying of a wide range of Basic Bricks. These superior quality products are manufactured in our in-house production unit using superior quality basic material and advanced technology. We are also capable of offering these in customized specifications as per clients' exact requirements. We are one of the chief manufacturers of quality Normal, Medium & High Heavy Duty Bricks. Our bricks are available in standard or special shape as per the client's specifications. Conventional bricks are made of clay soil and baked inside refractories. Magnesite and chrome Magnesite bricks are composed of magnesium oxides. Alumina Bricks are widely used materials in ceramics industries, refractories and electrical process. In our product range, we have a superior quality range of Low Iron Oxide High Alumina Bricks. Fabricated using superior quality basic material, these are well known for their corrosion resistant finish and durable finish standards. The offered products are also known for high alumina content, slag resistant finish, resistance to alkali and optimum tensile strength. Owing to these features, the offered products are extensively used in Cement Industry and Ladle & Electric Arc Furnaces. Catering to the demands of our clients, we are engaged in manufacturing and supplying a wide range of Magnesia and Magnesia Carbon Bricks. These are manufactured using superior quality of dead burned magnesia or fused magnesia, along with crystallite size graphite material. Moreover, our products also have resin binder and are subjected to high pressure. Our entire range of magnesia bricks has antioxidant material and is highly corrosion resistant to basic slag. Besides, our products offers high resistance to spalling and thus are well known amidst the clients. Our product range encompasses Special Bricks for Glass Industries, manufactured using quality tested basic material. Offered in both standard and customized sizes, these are suitable to varied requirements of Glass Industry. These are also tested on varied quality parameters like functionality and corrosion resistant finish. Super Heat Duty bricks being manufactured by us have got high reputation among customers. These products are made with Aluminium oxide and silicate materials. Our heavy duty bricks are made strictly in accordance to the national and international quality standards. 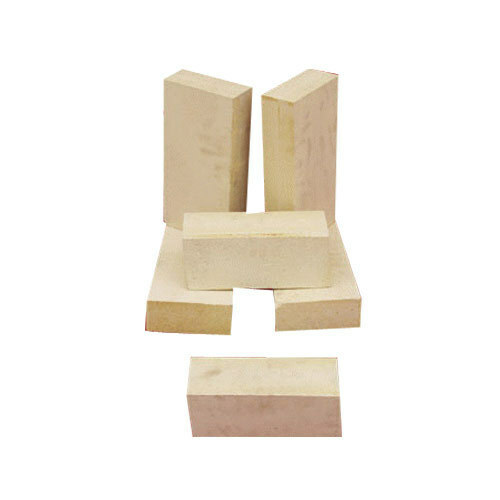 Alumina and Silicate heavy duty bricks are well known for high resistance, user friendly sizes and long durability.